Hello Guyz… Welcome once again to F.A.C.T. – SAT Writing TIP! Starting with SAT – Essay Writing Section! One thing that you MUST always keep in Mind is that You MUST always KNOW the DIRECTION before hand, and do not waste your valuable time in reading Direction during your EXAM. The essay gives you an opportunity to show how effectively you can develop and express ideas. You should, therefore, take care to develop your point of view, present your ideas logically and clearly, and use language precisely. Your essay must be written on the lines provided on your answer sheet — you will receive no other paper on which to write. You will have enough space if you write on every line, avoid wide margins, and keep your handwriting to a reasonable size. Remember that people who are not familiar with your handwriting will read what you write. Try to write or print so that what you are writing is legible to those readers. You can practice writing essays using the essay prompts from the most recent SAT from http://sat.collegeboard.org. website. A pencil is required for the essay. An essay written in ink will receive a score of zero. Do not write your essay in your test book. You will receive credit only for what you write on your answer sheet. An off-topic essay will receive a score of zero. If your essay does not reflect your original and individual work, your test scores may be canceled. How does it look ?? The examiners tell us in the Official Guide to the SAT that there is no formula for writing an effective essay. I suggest that you practice a few practice essays within a set TIME. Since the Essay is of 25 Minutes spend around 2 or 3 minutes making OUTLINES OR DRAWING notes and organizing your thoughts. Spend about 20 minutes writing your essay. Spend 1 or 2 minutes for proofreading your essay. Use & Divide your Time very Efficiently! What claims does the author make? Why do they sound good? Is it the logic, the sources, the writing, the structure? Is it something else? Why does the evidence sound credible? How does the author present facts, and what is his/her approach to telling a story with facts? Is the logic sound or faulty, and why? Why is the logic sound? Does the author back up his/her claims with examples that are easy to follow? You have in all ONLY 25 minutes to plan effectively and write an essay on the assigned topic. You will have line space for writing notes to help you organize your thoughts, write within that only , as you will not be provided with extra sheet. Use Quotations related to the TOPIC of prompt issue at hand. Keep a tab on TIME, plan your time during the practice test itself !!! Notice that this topic, or prompt, features a quote about an issue to which you are asked to respond. It is written with the intent that you will be able to respond quickly regardless of your background or interests. The Topic, or prompt, could have a one quote or a pair of quotes (two quotes) about an issue at hand to guide you better. Try not be over smart by using Large writing, filling pages, it does not serve the purpose,Try not to leave extensive wide margins. The assignment will ask you to give your view on a topic. Support your point of view with reasoning and specific details or examples out of your experience drawn by you over the years. Any Drift from the Topic mentioned to write on will not fetch you marks. So, Make sure that the essay you write is on the mentioned topic only. Use Correct Grammar, make it a point that you use correct form of Standard written English Grammar and your PUNCTUATIONs are used well. You are expected to write of Minimum of 3 to 4 Paragraph of ESSAY. Very short essays will receive very low scores. Aim for at least three paragraphs. Be clear & specific to your Point / idea / argument, not vague . Your readers are not, as you may suppose draw inference from your writing. They are looking for Clear,Logical & Specific details,with concrete evidence of some kind used to support your point of view and ideas. Remember: Your essay should be clear and effective. Do not forget to write the CONCLUSION, Without a proper conclusion it looks incomplete you may loose points on it! Last but not the least, Quality Matters NOT the QUANTITY! , So don’t write lengthy essay write quality essay. CREATE OUTLINE OF YOUR ESSAY within 2-3 Min. Brainstorm and assemble, anther collect your Ideas into an outline. Write a topic sentence for your main ideas. Then, underneath, make bullet points for every Paragraph and list your supporting evidence as per requirement. Generally, you want a min. of 3 arguments or pieces of evidence to support each main idea. Explain, in your own words, what the issue is. Include a thesis statement, which is a clear statement of your point of view/ idea / argument. DETAIL : …… Explain the point you are making with the aid of a specific example with detail, Write the point & example you want to use in 1 -3 words. Explain every point you make is related to the Question or Issue / Topic asked. Look at the ideas / points/ examples that you came up with. Choose one to three of your strongest ideas that supports your topic the best. You should be able to support these ideas with evidence from your ideas/ experiences & studies drawn from over the years. DETAIL : …..Explain the point you are making with the aid of a specific example, again write the point & example you want to use in 1 -3 words supporting your IDEA! Use Correct TRANSITION WORDS to connect two Paragraphs. Show how your idea / argument/ viewpoint, despite the qualification you have just made, is more persuasive under the present circumstances.Draw your themes together. I hope you got how to Write an effective Essay for SAT or GRE. Plan & Write effectively! Tell us about your Experience, Tips, Ideas on SAT / GRE ESSAY – see you soon with New TIPS on Other Writing Topics! Today I thought that I we will discuss about TOEFL iBT and how to go about its registration details. I have always been asked by students about its registration & University unloading details, so i thought to hare it with all of you. TOEFL is abbreviation for Test of English as a Foreign Language. It’s international test conducted by ETS that is Educational Testing Service. The TOEFL Exam is compulsory for students who come from Non – English Background, i.e. If you do not come from a country where English is NOT you 1st Language then you are required to take the TOEFL Exam. This exam basically conducted to estimate a level of English language of foreigner speakers. Many university need students to take and pass TOEFL with Minimum requirement of 85+ to enter students to there Masters or Undergraduate Programs. TOEFL is accepted in more than 300 Universities in USA and Canada; and more than 150 world countries accept TOEFL certificates. TOEFL certificates can be accepted even in UK. If you are planning early to start preparing for higher education , you can take TOEFL Exam as its Valid for 2 Years and the registration Fees changes as per your area you leave, like TOEFL Fees in INDIA is $ 165 and UAE $ 235. TOEFL iBT Test has four sections consisting the 4 division of English language skills like of Reading, Listening, Speaking, and Writing. It is approximately 4 hours long, with an obligatory 10-minute break after the Listening section. At FACT we train you to prepare you for these specific section with online tests & evaluation of every test that you take. Uploading Of your Universities: You can upload the names of 4 Universities for FREE, under the Test Services in your Account, but this should be done BEFORE the Exam , as after the exam you pay $18 for each university you upload. 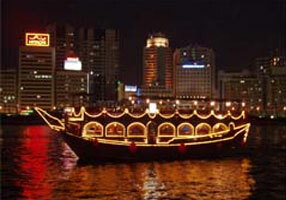 A Night on a Dhow Cruise! People in this day and age have forgotten a really important and necessary skill, the absence of which makes life quite dull, that’s why I have always looked at doctors with pity wondering how they could devote so much of their lives to work and considerably less to play. You may have guessed that I’m talking about having a good time, letting your hair down, or fun as it’s generally called. Now I know you’re wondering if I’ve written this just to discuss my petty views and opinions, well no. What I’m really trying to say or rather recount are the happenings of a particular night which I thought to be rather fun. We had been through a rather grueling six days of study which was both educational, tiring and Fun filled week, for we were preparing for our SAT’s. We at F.A.C.T. conducted a 7 Day ‘SAT – WORKSHOP’, which was a combination of Fun & Tedious all together! For all 7 days we studied English & Math solving worksheets, watching movies as well, in the Breaks! Guess what by whom? – by our Teachers on a Projector! Can you believe that! I being a student at FACT, was a part of this amazing course and be a team member of this. So, it was decided that we should reward ourselves with a well-deserved evening of fun and frivolity, but here’s the thing about having an evening out and trying to write about it; time flies and everything goes by in a blur, as though the human condition has been put under some kind of spell. We decided to go on a Dhow Cruise! The day was too hot to go sailing on a boat so we went in the evening, although it was still clammy and I was exposed to the salty spray of the night sea and the constant rocking back and forth of the boat, but this soon fades away until you can barely feel it; soon, floating rounds of cold drinks are served until the air is alive with chatter and laughter and casual innuendo and pointless conversations forgotten on the spot. As the lights die down and the sea lurches away from the earth, we sat grouped up in tables each lit by a lone candle like stars on a black sky. The groups change more swiftly, swell as they form two large groups and then dissolve and form again in the same breath. As the night wore on it came time to eat of which I did little, I managed to grab a quick bite but that was it. I found myself looking into a mirror at some point in the evening in some cabin beneath the boat, I could hear the dull roar of the party somewhere above me. Later a man walked up to the floor, dressed peculiarly in a frock dress and shirt with intricate markings upon it, I was shocked at first but then I soon realized it was part of the show for that evening as it had been conducted time and again on the boat. Even though I lived in the middle east for a long time this was the first time I’ve had the pleasure of witnessing such a performance, the dancer gradually built up a slow rhythm and kept it up, then the beat gained pace almost as if it had come to life, and he started to spin, the sound reaching a feverish pitch in my ear; The lights went off and he lit up, emitting a soft glow from the markings on his dress, illuminating the dark interior and we looked like a lantern drifting aimlessly at sea. He picked up the pace and started to sway to the ever increasing rhythm almost in a trance like state and I was all in awe. We all were having fun with FACT Teachers & our Mentor Mr. Sunil Shah, he is the one that we all look upto. He guides us all in correct direction.He being with was never occurred that we were with our teacher he is so friendly with us , that we are more close to him than our own Parents!! Once his performance was over people once again called for more photo taking. What came next was quite a sight to watch, and yes there were watchers, families who had come for a quite dinner aboard a boat seated in the lower deck, where we soon found ourselves, at the height of the evening. And so they watched, watched as a crowd descended the stairs and subsequently start dancing to music which just happened to be conveniently present. The music was loud and the people wild. This seemed to go on for a while, I guess it’s just one of those things that happen, you can’t tell when they happen or why, just that they do. The boat pulled towards the harbor and it was finally time to call it a night. We all Crazy smart people!! Testimonials – What Students have to say about us! The GRE, or graduate record examination, tests your verbal, mathematical and critical abilities as part of the graduate school admissions process. This exam is required as a prerequisite before applying to a graduate school.Before getting your test taking nightmares , here is some information which will transform your nightmares to a sparkling dream with a great future in the US of A.
Firstly all it takes is 3 months to prepare for the GRE .However it should be kept in mind that those 3 months should be entirely dedicated to words and numbers , for almost 8 hours a day on an average. This is not to scare you off but just to let you know that the fruits of this hard work are definitely sweet and its indeed a pleasure to bask in the glory of a 1400+ score . For those who have a background of a sound knowledge of math or who have a habit of regularly poring over the news paper pages or flipping through the novels , for them, 1 and a half to 2 months should be enough to get the hang of the exam and give their best shot. Concentrating on the verbal ability , the major mistake most of the students do is that THEY SIMPLY READ THE WORDS . What they fail to realise is that application of the knowledge of those words in solving analogies , reading comprehensions ,antonyms and sentence completions , simultaneously as they are done with half of the wordlists , is of utmost importance . To break the monotony of “mugging “ up the words , the best way is to relax , sit back, switch on the computer and enjoy a game of Verbal Warfare or Super Voca or even GRE Hangman! !And the best order to solve the questions is Barrons,Princeton , Nova ,Kaplan ,ETS and The Big book. Hope this relieves the “word scare” and helps in flying out with 800 colors in verbal ability . You must make time for reading,atleast two full hours thrice a week.This makes reading a natural habit & more rewarding. Stop wasting time& effort for details ,push through effeciently for a quick recognition of the main idea.Be more interested in the writer`s basic thinking than in his minor points. Try to read difficult & challenging material. you will never become a better reader by limiting yourself to easy reading. Set yourself a time limit,say 15mts & count the no of pages you have finished in that time, multiply by 4& you have your potential speed for that book per hour. Keep to the rate you have set yourself.This way you will learn to devise personal tricks to speed up. Nothing makes concentration so easy ,so immediate as the technique of sweeping through the material purposefully looking for main ideas & broad concepts. This stimulates your mind, you get involved in the writer`s thoughts & as an added dividend you soon find increased concentration. The GRE or Graduate Record Exam is required for admission to most U.S., Canadian, and UK graduate schools. Students are required to take GRE for pursuing Master degree in these universities. The GRE general test does not test specific knowledge in any subject. It measures the ability to respond to questions in limited time. The Graduate Record Examination (GRE) is a multiple-choice exam designed to measure verbal, analytical, and quantitative skills. The GRE General Test, required by most graduate schools, many vet schools, and various other allied health professional schools. The GRE Test Score is Valid for 5 years. It is considered to be a good predictor of your success in a graduate program. Your preparation for the GRE General Test must not be a last minute cramming; etc. it must be a well planned & structured test. The Experimental section is not scored, nor is it identified in the exam. It may be of a verbal, quantitative, or analytical nature. There are some important facts to remember when taking the GRE General Test. First, each question is worth the same number of points, no matter how hard or easy it is. Second, in each section except the reading comprehension questions (in the Verbal Section), the questions tend to go from easy to difficult. Therefore, it is rash to spend too much time on early questions when you know that later ones will probably take even longer. You have somewhere around one minute or less to answer each question (on the average), so budget your time effectively. Finally, when in doubt, guess. Do not leave a question unanswered. There are no penalties on the General Test for wrong answers. The GRE is perhaps the most important standardized tests you’ll ever take. As difficult as it might be, there are some tried and true ways to perform very well and prepare yourself for the verbal portion of the exam. In doing so, you’ll greatly increase your odds of getting accepted into your dream program. “Go back to your basics”. Get your basic Roots, Stems, Prefixes, and Suffixes of English in place. Familiarize yourself with the prefixes of the language as these will be obvious clues as to the meanings of words and allow you to instantly eliminate some of the choices given to you. For example, “ex-” in Latin means “out of” and is commonly used in English words such as exodus, exit, extinct and so on. Knowing the prefix can tip you off to the words approximate meaning. Memorize suffixes and roots of the language as it will help in analogies. This will save you so much time and energy and will pay huge dividends when you take the test. Knowing the meaning of a given suffix is like a shortcut to knowing the meaning of any given word. So, for example, “able” roughly means “can do.” And from this suffix we get “capable.” “-less” means “without” and therefore someone who is “penniless” is without money. Practice taking the test. You’d be surprised at how much you can improve your score simply by becoming familiar with the restraints and procedures of the test itself. Get yourself used to the test environment. Shut yourself up in a room. Don’t take any breaks because you won’t be allowed to during the actual test. Repeat the exam as many times as you possibly can. Take the same copy of the test more than once if necessary. The quantitative section is one of three sections on the Graduate Records Examination (GRE). This section of the GRE tests the basic mathematical concepts that you were most likely exposed to in high school. For your best score possible on the GRE quantitative section it is important to review and prepare. Become familiar with the types of questions in this portion of the test. The GRE quantitative section consists of 28 questions divided between quantitative comparisons, discrete quantitative (multiple-choice) questions and data interpretation questions. 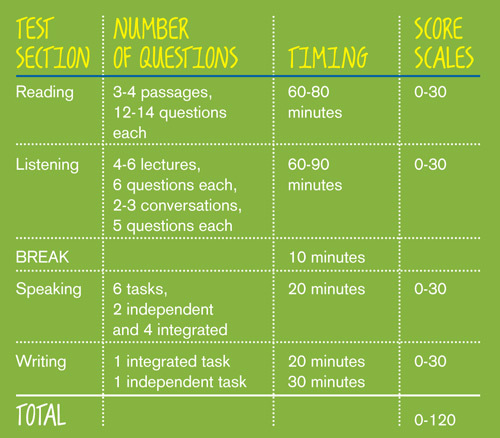 Study these different question types. Study a list of facts and formulas regularly used in the GRE quantitative section. These lists can be found in study guides and online. Memorizing these facts and formulas will help you save time during the test. Use the diagrams provided or draw your own to help clarify a question. Diagrams provided in the GRE quantitative section are drawn to scale and can be trusted. Look for mathematical shortcuts. Math problems can be solved many different ways. Try to choose the fastest and easiest method to solve problems found in the GRE quantitative section. Keep track of units given in GRE quantitative questions. Some questions may ask for an answer to be given in different units than were used in the problem. Take practice tests and answer sample questions to become familiar with different question types found in the GRE quantitative section. The analytical writing section assesses your ability to articulate your ideas in an essay written in Standard English. It is designed to assess the candidate’s ability to express his/her ideas clearly in a written essay. Candidates are judged on whether they can support their ideas with valid examples, how clearly and succinctly they can express their thoughts, and how well they are able to use elements of the English language. How do I register for GRE? There are 3 ways to register for graduate record examination GRE. GRE ! A love affair with words…. Falling in love with words is all GRE is ! Eat,drink,sleep and walk words! Words,words and words because analogies are full of logic only.Words can make that magic.Antonyms are synonymous to antegonists sans word power.Sentence completions give you a excuse of completion but with words! R.Cs are a nightmare if not buttressed with words..So dear friends make your vocab sound ! Let every wall of your house be a witness,every nook and corner be not spared ,let the words adorn yout wardrobe,your bathroom too !! Become a maniac with words and come out with flying colours in GRE .